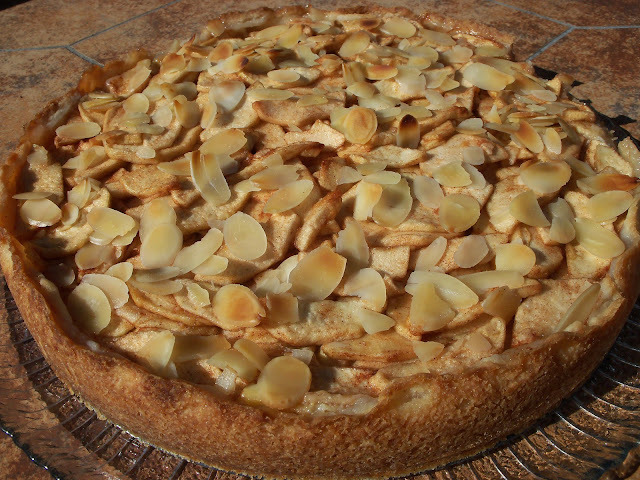 This dessert is a lovely cross between apple pie and cheesecake. Press into a 9 to 10-inch springform pan and up the sides about half way. Beat ingredients together and pour on top of unbaked crust. Mix together and sprinkle on top of cream cheese layer. Sprinkle on top of apple mixture. Bake at 450 degrees F for 10 minutes, then 400 degrees F for 25 minutes. Let cool and then refrigerate.